Not sure if this belongs in this section, but I've found some articles on gisaeng (Korean version of geisha). I found another article relating to gisaeng, specifically about the restaurants where they entertained in the early 20th century. I'd love to know more about this! 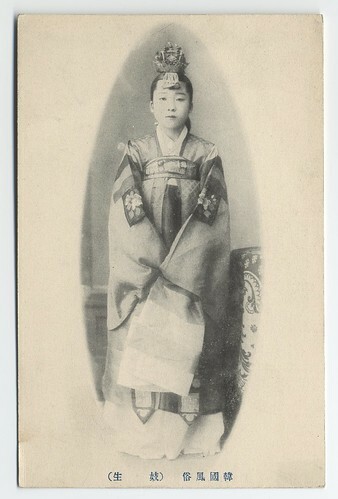 In the early 1900s, the old system of government-controlled gisaeng disappeared, but courtesans and entertainers continued to ply their trade as members of guilds, known as kwon-bon. The most common site for their operations was a large restaurant, Myongwolgwan being the most successful and prestigious of all of them. 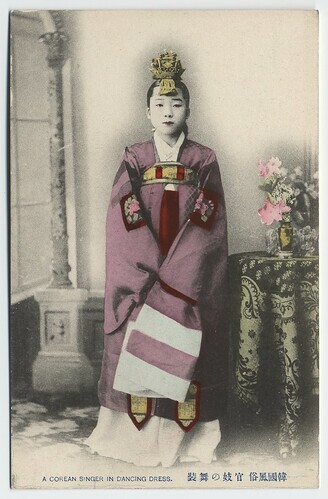 When a party was arranged, gisaeng guilds were contacted and they then dispatched girls to entertain the visitors with singing, dancing and coquettish talk. 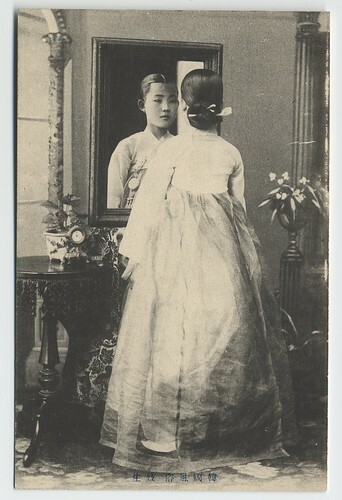 The captions are long & informative, and the postcard photostream has other interesting images of 19th & 20th century Korea. 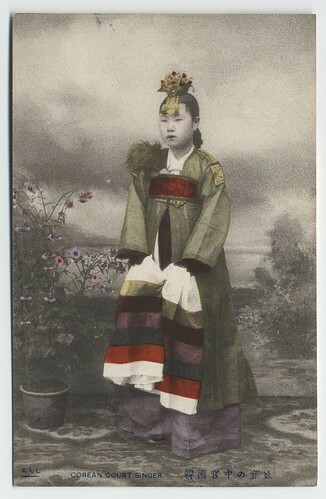 I found a cool video/blog post on Gisaeng/Kisaeng. If your not brave enough or don't have the time to make it then hear is a place to buy Gache as well as other hanbok related things.